Made by local artisan from sustainably grown Northwest lumber. 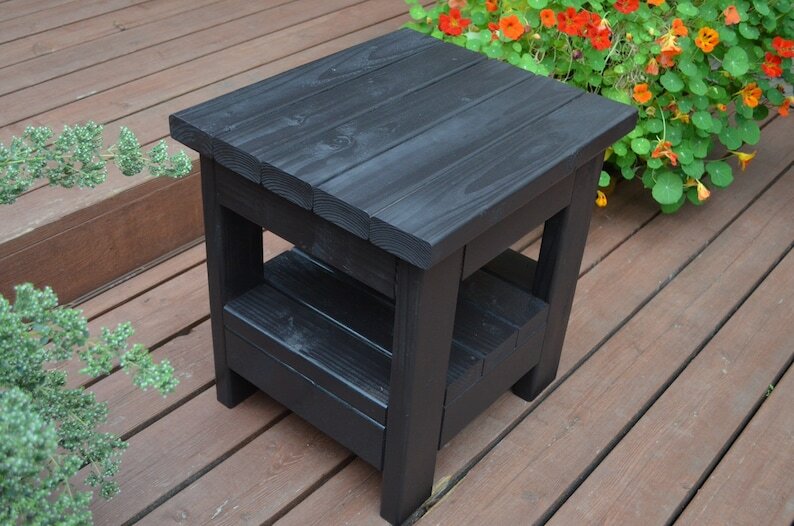 Small end table is perfect height to accompany outdoor chairs with lower seats such as the classic Adirondack. 19-1/2"W x 17-1/2"D x 20-1/2"H. Compare all four sizes in photo above. Item for sale is on the right-rear. Innovative pocket joinery hides all wood fasteners for a sleek, sophisticated look. Your guests will think you paid much more than you actually did!